As a family owned business, we exist to free up hard working families to be the best they can be. We know what it takes to keep a busy home running smoothly. We get what it means to make the most of family life. And we understand the things that really matter. 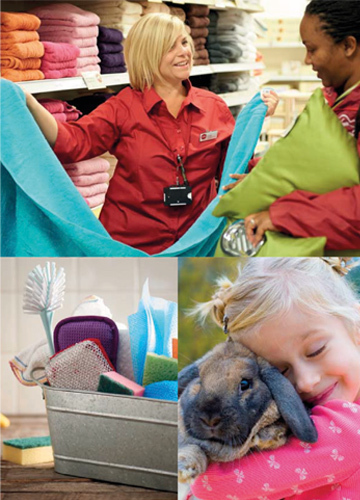 Quality products that solve our customers’ needs, stores and a website that people love to shop and a business that believes in treating people with fairness and respect – this is how we do things at wilko. From sprucing up the spare room to keeping the kids happy in the school holidays, our customers know that week in, week out, 365 days a year, we’re always ready to meet their needs. They know that they can trust us to help them get things sorted. We’re here to provide simple solutions that help families get their day to day lives sorted as quickly, easily and affordably as possible – leaving them free to be the best they can be. For more than 85 years, we’ve been sorting the needs of wilko families at home and our customers know they can depend on us to do just that. And we’ll continue to do all of this by following the wilko values.